Grinding accuracy of +0.02 mm ensures a meaningful improvement in yarn quality. 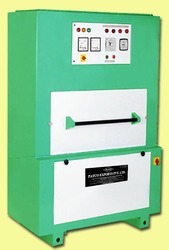 PATCO Flat Grinding machine can boast of valid points that can ensure good carding performance and simple maintenance. Grinds 4 flats at a time. A set of flats can be ground within just a few hours. A one-shot lubrication system ensures smooth running. Different seating plates available for different make of flats. A very efficient dust removal and filtering system. 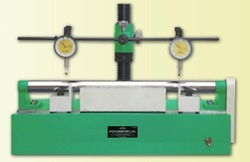 Control device with dial indicator (1/100mm accuracy) for checking ground flat tops. Truing up attachment provided with ceramic stone. Suitable for Carding Cylinder wire and Doffer wire, feed roll and Re-Directing Roller Wire,Blow Room Beater Wire, Licker-in Wire interlocking and Grooved type. 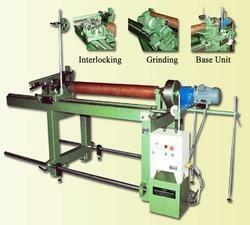 The machine has Grinding attachment for high spot of wire on mounted Rollers. Interlocking attachment fitted on traversing slide with bearing guidance systems. Safety lock one way provided, wire tension indicator with tension plate for cylinder, Doffer, interlocking wire for Licker-in, for web transfer roller wire. The drive unit is fitted on 3 support bars, A.C.variable drive control to A.C. Gear motor from remote control,3-Jaw Chuck for easy mounting on different Shaft (upto 75mm). Our clients can avail from us Cloth Guider, which is available in two, three, and four fingers. Manufactured using quality tested raw material, these are wear & tear resistant, easy to use, and suitable for cloth craze opener. We offer these in various specifications to cater to different requirements of our clients. 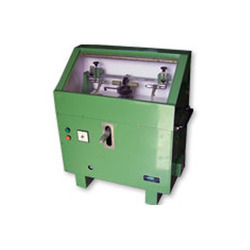 For the diverse requirements of our clients, we are engaged in offering a wide range of Licker in Wire Mounting Machines. Our products are simple to handle and easy to use. These products are well designed by the team of experts and qualified professionals of the industry. All these products are tough in construction and ensure longer functional life. Licker-in wire rollers with bearings, can be directly mounted on the M/c. Easy removal of old wire from licker-in. 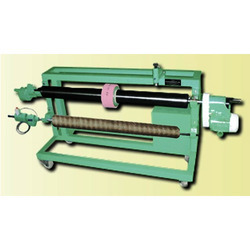 Burnishing rollers are provided to clean roller and burnish licker-in wires. With simple and effective mounting arrangement the wire is well caulked. 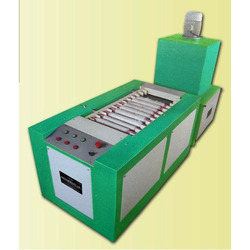 Machine is provided with plugpoint for soldering of licker-in wire. Tool post grinder fitted on traverse screw grinds off the high spots of licker-in wires. Speed variable from 0 to 50 meters/ min. Max Roll dia from 300mm to 1000mm. Our specially designed Fabric Rolling Machine is available in variable speeds. 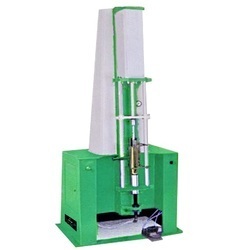 The machine is stable, easy to operate and reliable. 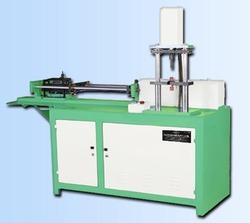 The machine is a freestanding equipment that can be placed beside the production line. It is mainly used in weaving mills, dyeing plant, wholesale shops, a garment factory and leather factory. Suitable for grey or finish fabric in roll form. Speed variable from 0 – 50 meters/ min. Compact & crease free rolling on winding tubes. Max. Roll dia from 300mm - 1000mm. 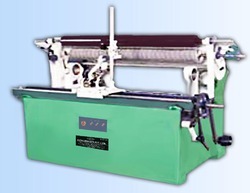 Straight & uniform roll winding through efficient selvage guider. Operator friendly improves productivity, reduces labor. The design of the machine is sturdy hence, free from vibration and thereby the foundation is strong. Suitable for Mounting & De-mounting all types of Top Roller like RingFrame, Speed Frame, Draw / Comber. Liver or Electrical operating system. Backed by the years of experience and expertise, we are engaged in offering an extensive range of Bare Cylinder Grinders. All these products are highly efficient and are compact in design. Our products are manufactured employing advanced technology and high quality spare parts & components. Accurately ground cylinders, ensure longer life of metallic wire and uniform carding throughout the width. Key to the production of high quality yarn. A process in the manufacture of spun yarns whereby the staple is opened, cleaned, aligned, and formed into a continuous, untwisted strand called carding process. 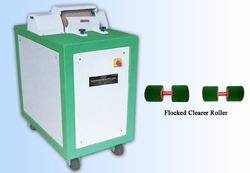 We are involved in offering Clearer Roller Cleaner. 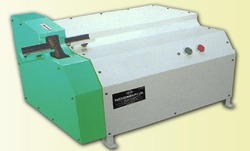 It is the ultimate cleaning aid for sealing rollers of blister packing, strip packing machines and other allied areas. It penetrates on the knurling of sealing roller & separates dirt and ink even at high temp. Clients can avail these from us at reasonable rates. Buffing of Top Roller is on abrasion method. Surface finish of Cots after grinding gives R.A. value of 0.2 to 0.5 dispensing on the quality of Cots. Automatic traverse with the help hydraulic pressure, center less grinding attachment having double roller system. Cylindrical Drum Emery having width of 200 mm, desired pressure on arbor while fringing with center-less attachment can be set. Self retracting and Roller Bearing Mounted Tail Stock. Automatic Timer provided for setting Grinding Time. Accuracy after Grinding Taper - 0.01mm, Eccentricity - 0.01 mm. Highly efficient Dust Extraction Unit provided separately all values obtained on this M/c are as per highest International Standards. For Ring Frame & Speed Frame. 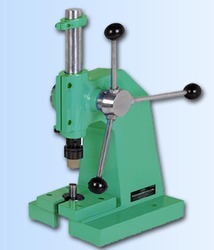 Designed to check eccentricity and taper of all kinds of top rollers like R/F, S/F, D/F, Comber etc. Fully motorized easy to operate for checking eccentricity of the top roller at any point with linear guide bearing. Two Dial Indicators are fitted on adjustable stand to adjust. Suitable for all flats, 37” to 45” wide and also for INGOLSTADT 60” wide flats. The clamping slide clips the flat tops smoothly and effectively and returns to starting automatically for next morning. Simple design and robust constructionof machine meets all demands of accurately mounted flat tops for modern high production cards. It is needed by every spinner because of its yarn quality. The yarn quality standards were never so demanding. Brings the original accuracy of Heel and Toe by milling, with worn-out flat ends on perfect flat end milling machine, with fixed cam arrangement. 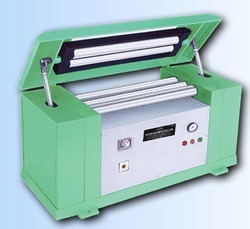 Easy holding and straightening of rollers. Measuring eccentricity of fluted roller in hundredth of a m.m. Same machine works for the worsted spinning as well. The design of the machine is simple for easy Mounting & De-mounting. Machine with all required tools & accessories for both processes. Sturdy design of the m/c assures accurate mounting. Machine can be fitted on a table for easy and efficient work as well as de-mount without damaging the cots or bearings of the arbour. Necessary tools & jigs are provided with the m/c. Suitable for high speed cards. 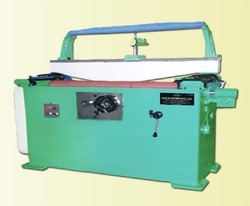 The design of the machine is sturdy with complete steel fabricated table. Front side provides horizontal mounting. De-mounting device with roller guide for longer roller. 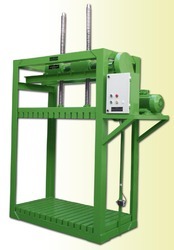 In rear side, vertical device with roller guide for spinning roller. 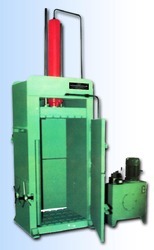 Hydraulic power pack with 1 HP Elec. Motor. 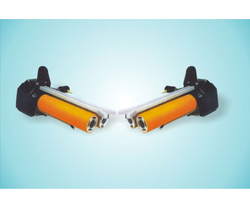 M/C is supplied with necessary tools for all type of top rollers for Mounting / De-mounting. 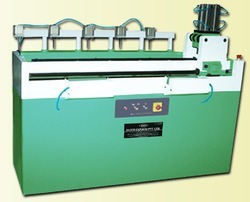 Owing to our rich industrial experience, we are involved in offering a wide array of Metallic Wire Mounting Machines. All these products are technically accurate and are compact in design. These products are tough in construction and can withstand harsh weather conditions. Also, these products are well known for their attributes such as high material strength and reliable performance. Replacement of stone is easy and economical. Perfect dressing tool ensures uniform performance always. Flushing, cleaning and refilling operation done simultaneously thereby reducing time. 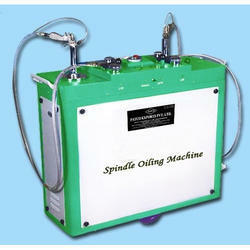 Auto leveling system helps to maintain perfect level of oil in spindle bolsters thus saving power cost in ring frames. 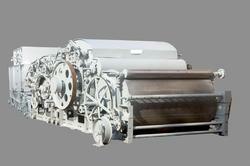 More economical production of better Yarn Quality at lower costs. Fitted with 2KW U.V. Lamps. The of cost loading and unloading is very less. Equipped with Blower, Cooling fan & Automatic Timer. 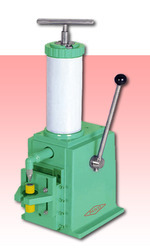 Machine operates by single hand with dual function. Power suction device swallows it and deposits it to cotton bag at rear side. Adjustable guide for holding any type of arbour. A sophisticated & sturdy design with steel body built-up. Maintenance: everyday cleaning of cotton bag & rotor for efficient suction. 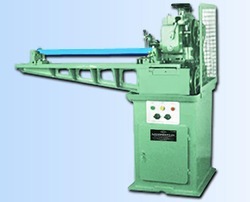 The machine has a conveyor belt for roving end opening system with adjustable bracket. No roving waste due to complete re-cycling & dust extraction unit. 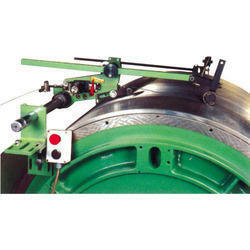 Positive drive for the rollers are provided to give a maximum and uniform pressure to the mounted rollers. Compact design of the table model machine having 3 rollers in the working drawer on a bush bearing, 2 idle rollers on the top of the machine give uniform pressure by pneumatic air to the top roller while calendering. 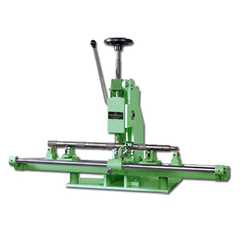 The top cover of the machine is also adjustable according to the diameter of roller. Reduction gear box with positive drive gear for efficient working of m/c. Timer & On/Off switch is provided with the m/c for automatic calendering by pneumatic pressure. No manual operation is required for calendering. Equipped with rotor dyes for rotation of arbour. Nozzles are adjusted to suit any arbour.